NEW HAVEN, Conn. (WTNH)– Cuba has already started 9 days of mourning in the wake of Castro’s death. But here in the U.S. some communities are celebrating. The local Cuban American community is speaking out after Fidel Castro’s death. Jesus Puerto, the owner of Soul de Cuba Café in New Haven, says he was shocked when he found out Castro had died. The restaurant is full of expressions of Cuban culture and pictures of Puerto’s family. Many still live in Cuba, in a small community near Havana. Some moved to Florida to work in cigar factories. When Castro was in power things were not easy for them. “My friends and family in Miami – our hearts go out to them as well as to the people of Cuba because they suffered a lot because of the regime,” said Puerto. Puerto says many people blame Castro for the dysfunctional relationship between Cuba and the United States. However, Puerto says people in Cuba are in mourning, since Castro was something of a father figure to many of them. Though many are sad, some are feeling mixed emotions. “One cousin said to me yesterday, Jesus, I feel liberated. I feel a sense of relief,” said Puerto. — Renee Chmiel (@ReneeChmiel) 5:32 PM - 27 Nov 2016There is still uncertainty despite the relief that some people may feel. Puerto hopes relations between Cuba and the United States will continue to improve, but he’s not sure what will happen when the Trump administration takes over. He says people in both countries are interested in connecting, and he hopes everyone can move forward. “Forgiveness is so important for us to be able to get on and sustain our communities, our families, our lives,” said Puerto. Puerto still visits Cuba regularly. He’ll be going back in a few weeks. Dec 21, 2015 American Airlines and Jet Blue have announced plans to offer scheduled flights to Cuba. This follows last week’s new agreement on commercial flights between the island nation and the United States. 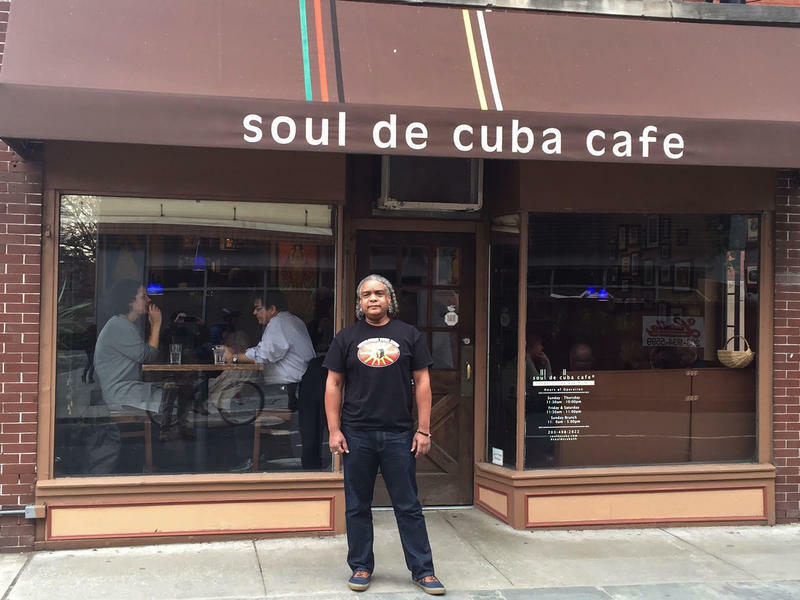 Jesus Puerto owns Soul de Cuba Café in New Haven. Puerto applauds President’s Obama’s decision a year ago to re-open diplomatic relations. "His administration has followed through," Puerto said. "The Cuban government seems to be open and I think really positive things are coming from it. I support his bravery and his decision to go beyond the former policy which, for 55 years, just wasn’t working." Fodor’s Travel has just released a Cuba travel guide. Editor Eric Wechter said it could take three to six months before you can start booking individual airline flights to the island through internet services like Kayak. “This three-to-six-month period has to do with setting in motion the safety inspections and other procedures required by the FAA to really clear the pathway," Wechter said. And he said it's important to remember that U.S. citizens may still only travel to Cuba under one of twelve permitted categories. Despite the official normalizing of relations, restaurateur Puerto warns change takes time. “I hear from friends here in the U.S. that they’d love to travel to Cuba ‘before things change’. Well, Cubans are resilient people and their culture is important for them and they’re very aware of maintaining their culture," Puerto said. "And there’s a lot of work to be done in terms of the infrastructure in Cuba before the change I think people are expecting." In the meanwhile, Puerto said he and family members who live on the island are excited about warming relations between the two nations. Copyright © 2016 Cubanakoa Foundation. All rights reserved.